The Bellano range combines versatile, timeless design with warm texture to suit any decor style. Robust, durable and practical, as well as functional, Bellano offers great value for money. 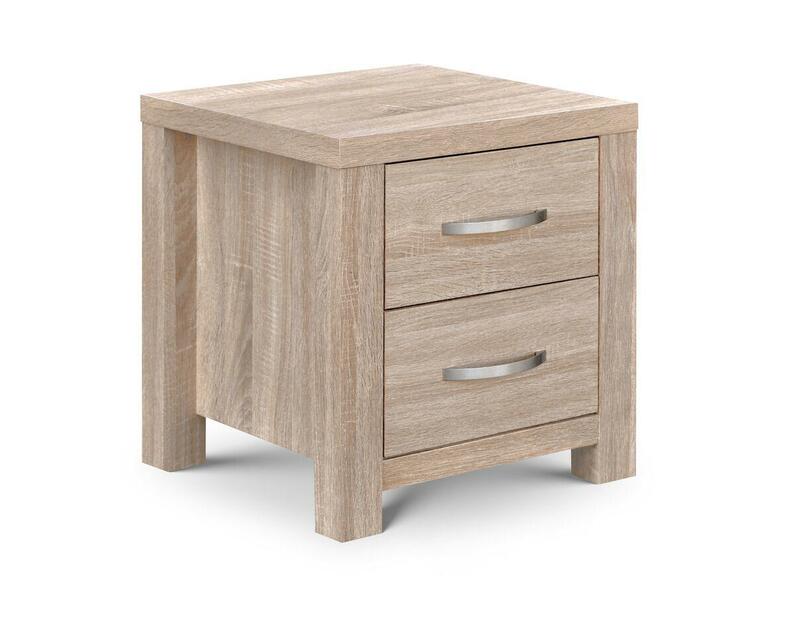 The two drawer bedside cabinet, with subtle curved brush steel handles, finished in high quality Sonoma Oak foil is the perfect addition to any room.